Ever wonder how our bartenders create their newest concoctions? Do you know the difference between a tincture and a bitter? When to shake, and when to stir? From proper barware to proper technique, in two short hours, we'll teach you everything you need to know to impress your guests. Grab a friend or two and join our next small group class. 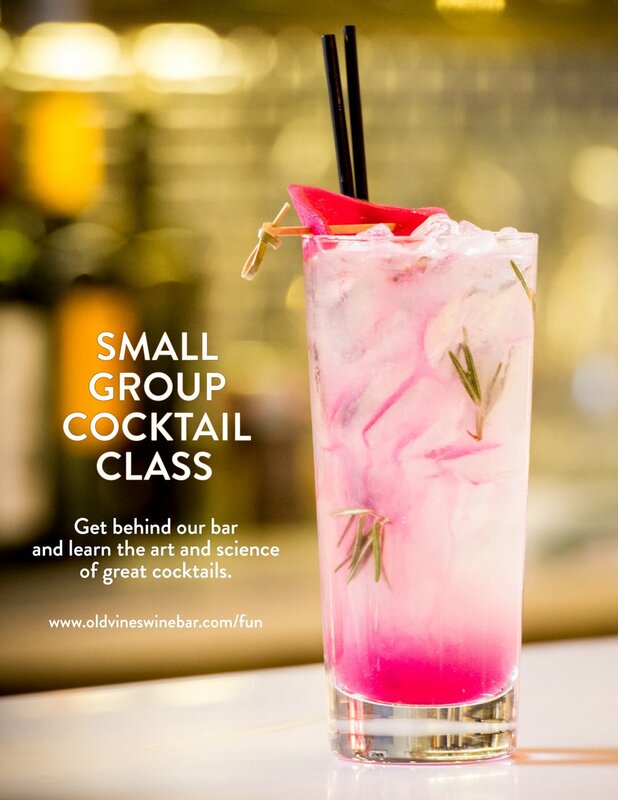 You'll get behind the bar, have a bunch of fun, and meet some new friends. And yes, you get to sample your own work. We'll have snacks available, too. $60 per person, includes three cocktails, light appetizers, tax, and gratuity.